I promise you it wasn’t me, who started all this dissing! 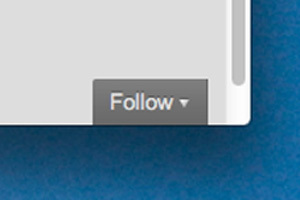 If the Follow is a blasé grey, then, please click it, just for me! Dear Lord, what a mess!!! I couldn’t understand why I was missing so many of you in my reader, until The Haunted Wordsmith pointed out she had lost so many blogs she follows!! Enough already! leave the stuff that works ALONE! WP has messed things up??? Awesome! Sadly so true! In addition to losing them so many that remain had the alert frequency changed too! Great. I didn’t know that. Wow, nothing works around her anymore. Yes I’m missing two regulars as a result. You’re lucky it’s only 2. I’m up to about 20. Oh my gosh! I just noticed recently that I wasn’t following someone I thought I was. So, I’m not losing my mind afterall! You’ve put the message together so well! Thanks! No, it’s not you, not at all!!! You’re not kidding, Scooby! Check your follows. THW lost a ton, I haven’t even checked all mine! LOL No, I’m not alone in this. The only gremlins are the “happiness engineers” at WP. yep, most of us call them hapless but I was being nice.